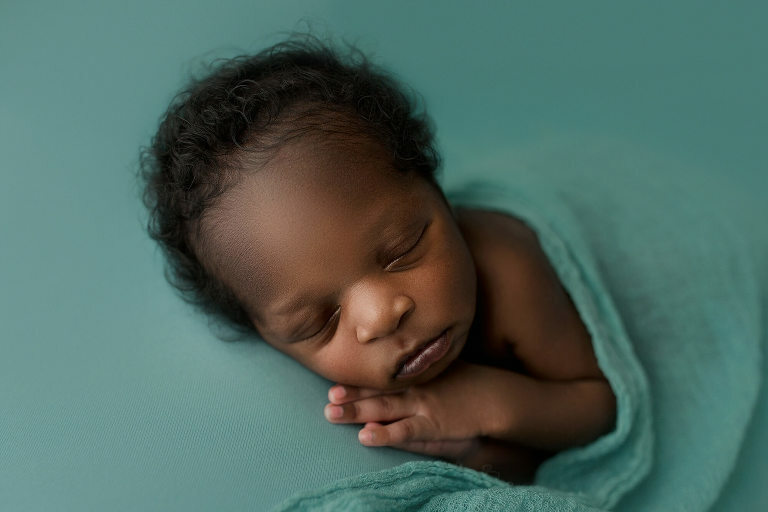 This baby boy’s session was one of my favorites as a Seattle Newborn Photographer! Everything about it made my heart happy and I couldn’t wait to deliver the gallery to the family! The teal color that mom chose was more beautiful than I could have even imagined! 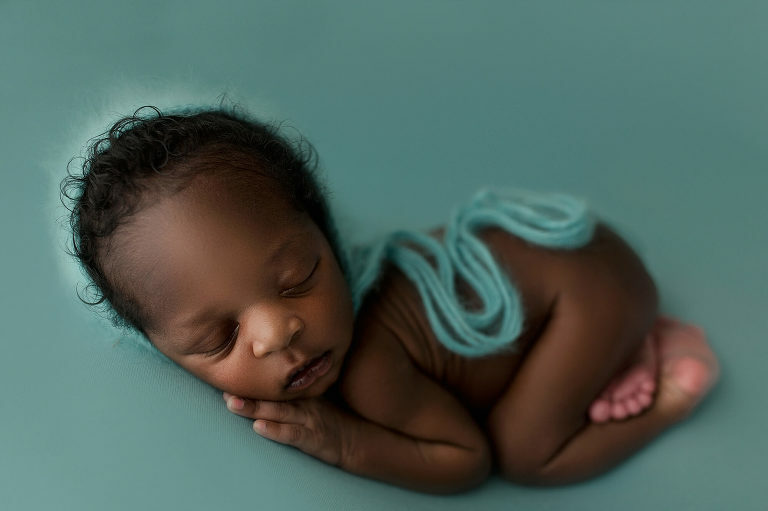 It accentuated this baby boy’s skin color perfectly and definitely made the perfect statement. The matching bonnet from Joie De Knits was the cherry on top and polished the newborn posing. 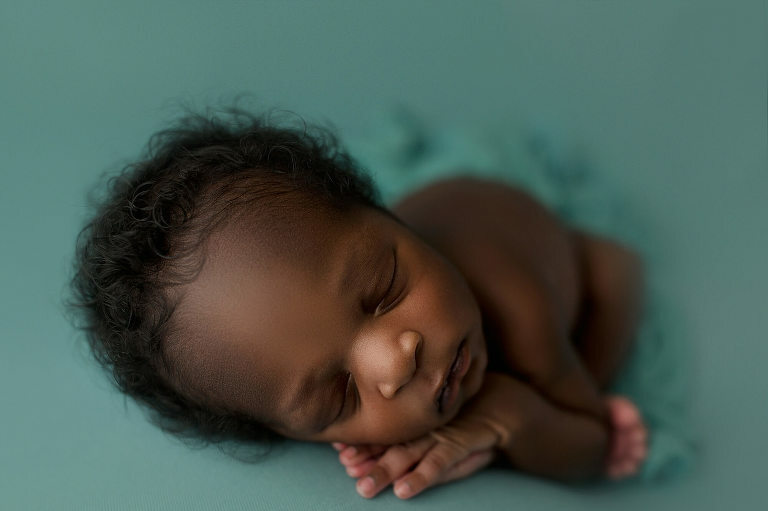 One of the things I couldn’t get over is how flawless this newborn boy’s skin was! And his hair was just to die for! All of those beautiful curls and there were so many of them! He truly was the best all around! This military family was so wonderful and serve our country proudly and I can only hope that I was able to do the same for them!